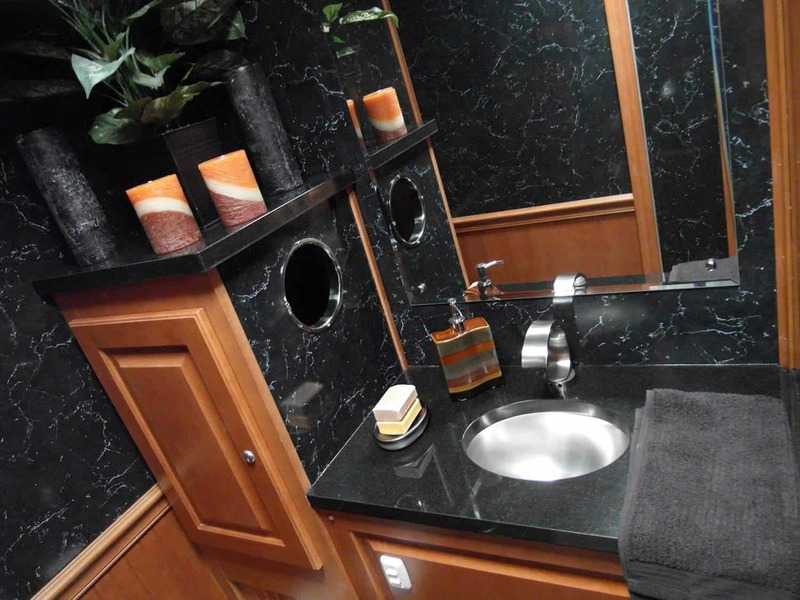 Enjoy your time freshening up while in our Porta Lisa Regal Plus restroom trailers. 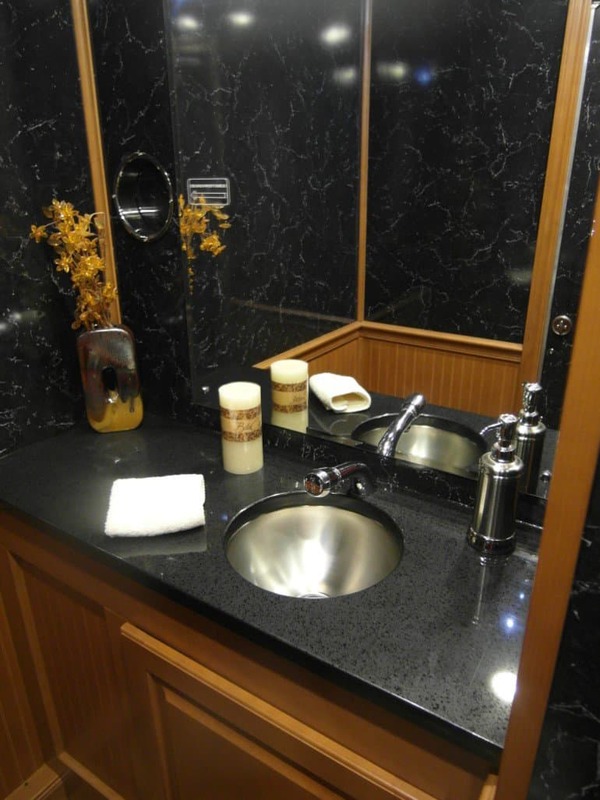 These tastefully designed units feature granite countertops, heating, air-conditioning, running water, interior lighting, low-level exterior lighting and an occupancy signal. 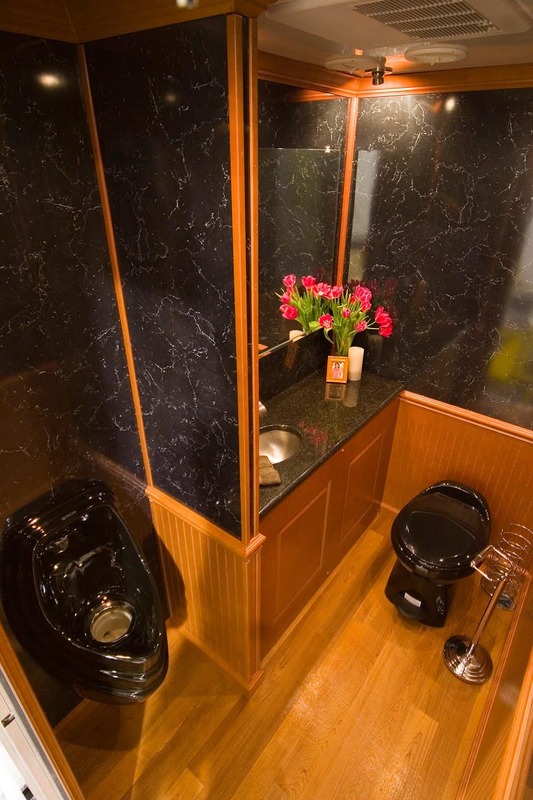 These units have separate entrances which gives each person privacy. 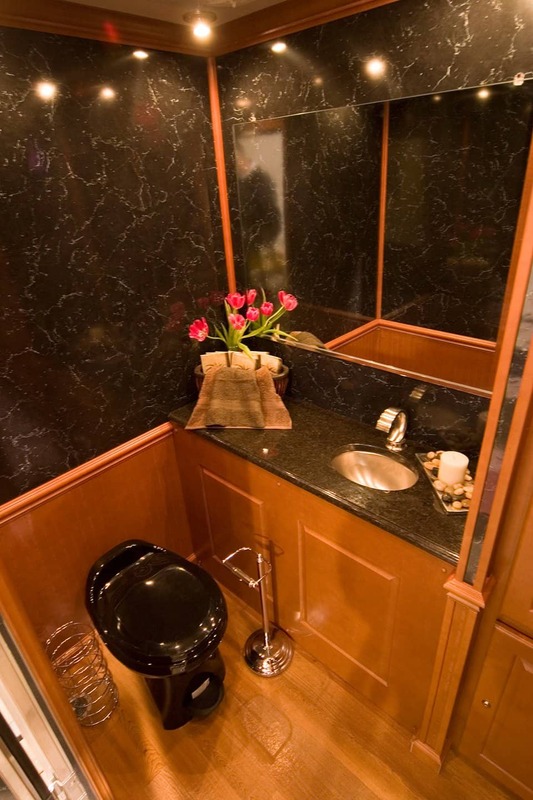 There are 2 privacy stall spaces in the Porta Lisa Regal Plus unit. 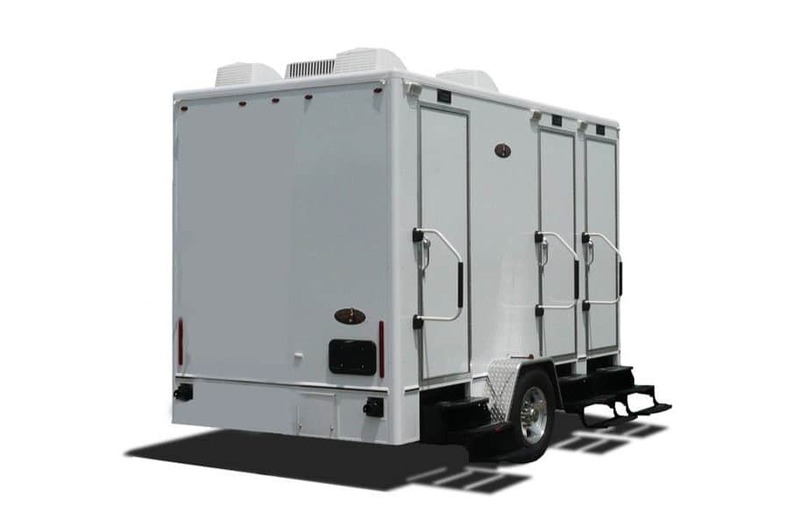 What is Required at your event to run Restroom Trailers? Hosting an Open House, Birthday Bash, Family Reunion, or an Elegant Wedding outdoors? 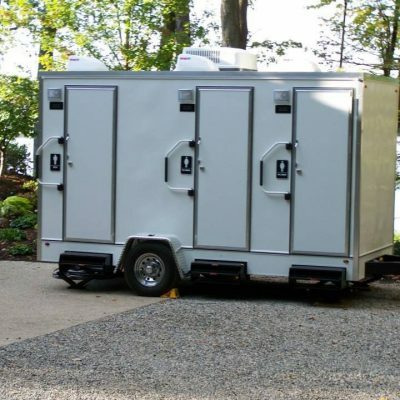 As you walk through the amenities of your outdoor venue, you may run into some challenges based on the location of their restrooms and whether they can handle your expected guest list. 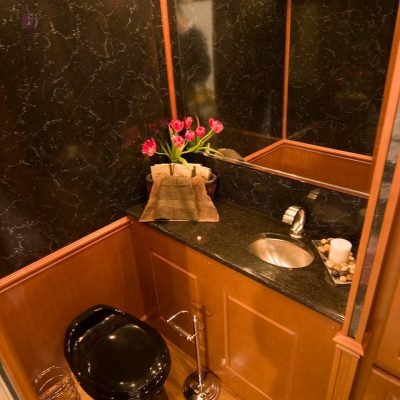 In many cases, you’ll decide you want something a bit more luxurious than a standard porta potty and the good news is there are options. 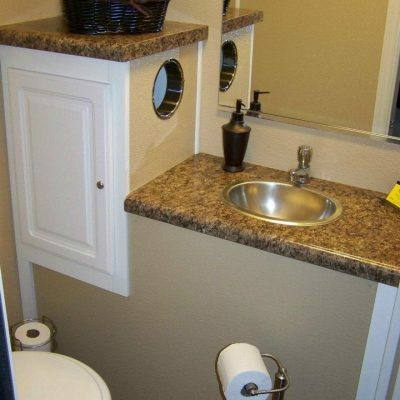 Restroom trailers are simply fancy portable toilets and ours come standard with flushing toilets, freshwater sinks, wood flooring, and are climate-controlled. 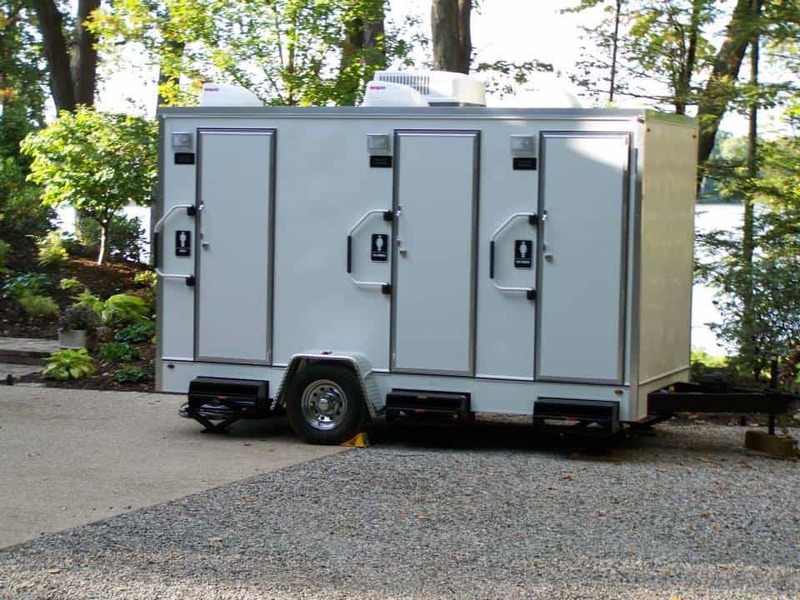 It may sound obvious but you’ll need a flat surface large enough to handle the unit and provide safe access for your guests. It’s also important to think about weather conditions during the week or day of your event. If you have rain in the forecast, make sure you find a flat surface with good drainage. 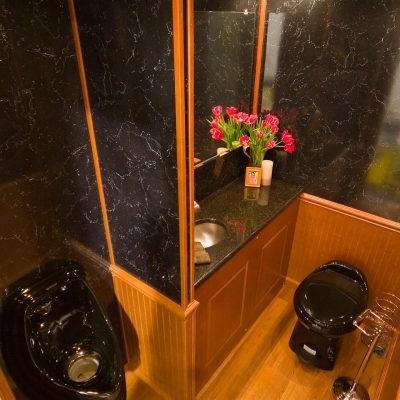 The last thing you want is the entrance to the main restrooms to be muddy. 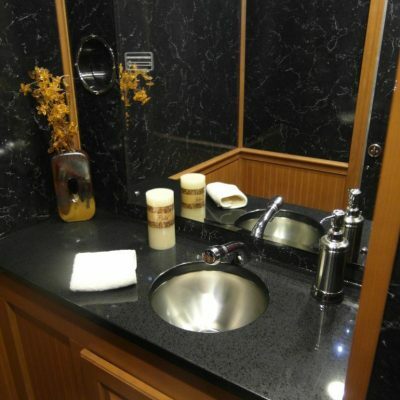 These units do require power for heat, air-conditioning, water pumps, and interior as well as exterior lighting. If your venue doesn’t have power available, there’s always the option of using a generator. 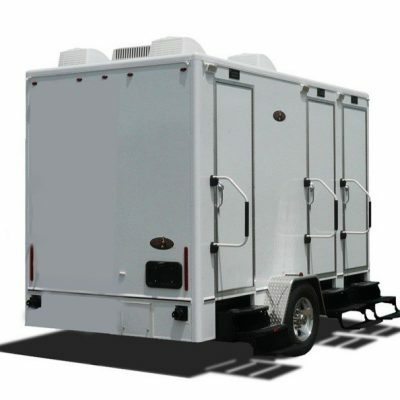 The last main requirement to run a restroom trailer is water. 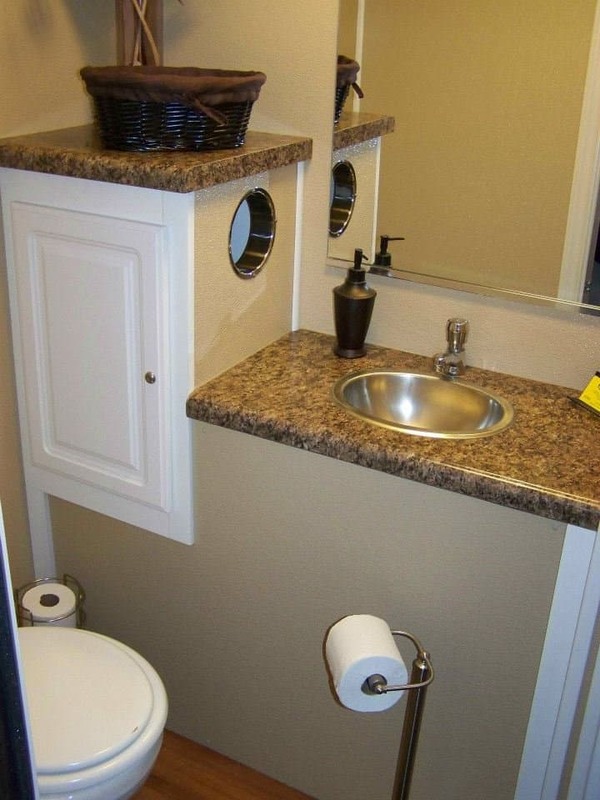 A standard water spigot with a hose is all that is required to run these units. 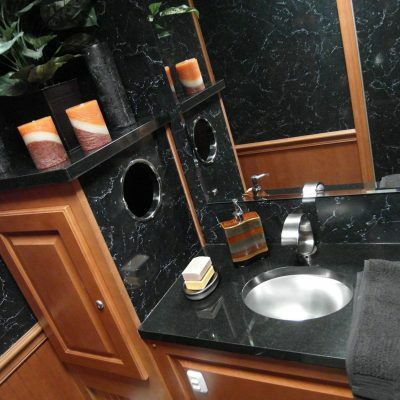 Please reach out to us at 1-800-223-9563 if you have questions or would like a Free Estimate.